Malika-e-Jazbaat or Tragedy Queen is a slang term used to describe any actress who is known to perform sorrowful and emotional roles. In our country not many actresses are given this title. Our showbiz history starts from films and despite film is a commercial medium with loud acting and over emotional sequences a handful of actresses got this title. The lady, who is almost unanimously known as Malika-e-Jazbaat in films, is the late Nayyar Sultana. Nayyar Sultana started her career as heroine, and later reverted to character roles mostly of mother and bhaabi. Interestingly it was her character roles that strengthened her fame as Malika-e-Jazbaat rather than her roles of heroine. 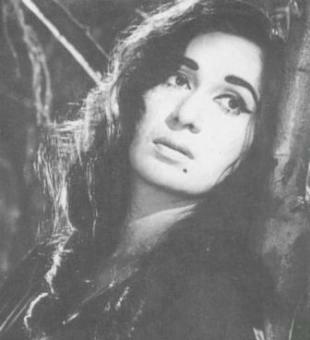 In the roles of heroines she was a normal lady, but in character roles she was mostly a har haal mein khush rehnay waali mazloom rotti dhoti aurat which earned her the title of Malika-e-Jazbaat from film journalists. Coming to TV dramas, its popularity started in decade of 80’s and they are famous for their realistic acting, so despite some big names like Uzma Gilani, Khalida Riasat, Madeeha Gauhar, Roohi Baano who are famous for doing serious roles flawlessly, none is labeled as Malika-e-Jazbaat. The trend is almost same till today, where despite a very vibrant drama industry none of the female artist is known as Malika-e-Jazbaat. But if we want to consider anyone for that title, which one is the most suitable. Let’s discuss some of the most eligible ones for this title. Mostly appears in depressing roles, ‘Mann ke moti’, ‘baandi’, ‘kaash aisa ho’ every time she has lots of miseries and her face is dismal and depressed. She is favorite choice of producers who want to make a depressing drama. She has appeared in a light role in film Aaina, but was unimpressive. Samiya is a very talented artist, who can put life to even a lifeless character. Her first appearance in PTV drama Zard Dopehar was a small one but still she was noticed. She started her career from theatre and time and again she has proved how mature she is in acting. Samiya took a long break from acting and focused more on her farm house, as she is a farmer of organic food. She returned to screen from super hit ‘Meri Zaat Zarra Bey Nishaan’, audience still remember the sobs and tears of character of Saba. Since then there is no ending to suffering of Samiya in dramas, in Maaye Ni, Haal-e-Dil, Zindagi Tere Bina we can see plenty of emotionally charged scenes of Samiya. Ayeza Khan started her career at a very young age, I first noticed her in Ramazan special drama ‘’Faiz Manzil Ke Rozedaar’ in a light role in 2007. From past few years Ayeza has been first choice of drama producers and done some big projects. But most of the times she is a ‘mazloom roti dhoti’ girl. She had shed liters of tears on screen, which if collected are enough to flood television screens. Maria is a versatile actress she has performed all types of roles in her career which started in mid 90’s. Lately Maria is also coming in roles which qualify her to be a ‘Malika-e-Jazbaat’. In Baandi, Kalmoohi, Rehaii she is always a ‘bechaari’ alone to face the cruelties of world. Nimra started her career from drama Daam in 2010. Since then she is always casted in roles of a ‘bechaari’ woman, be it ‘Mera Yaqeen’, ‘Sabz Pari Laal Kabootar’, ‘Ek Nazar Meri Taraf’ her sorrows and miseries are endless. She is seen weeping regardless she is performing a rich lady role or a poor lady role. The only time I had seen her in a light role was a small role in drama Paarsa and she seemed misfit for that. 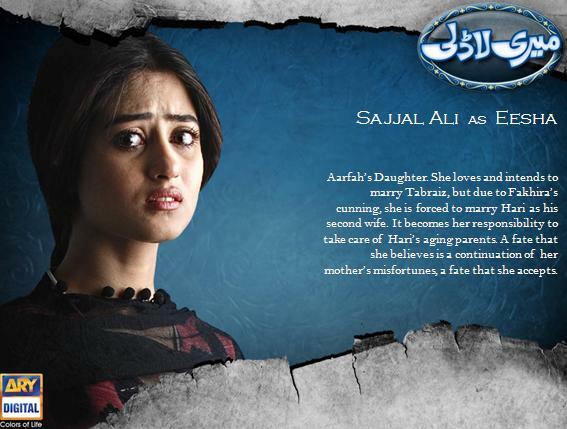 Sajal Ali well she has performed all types of roles in relatively short span of times. She cannot be totally labeled as ‘roti dhoti larki’. 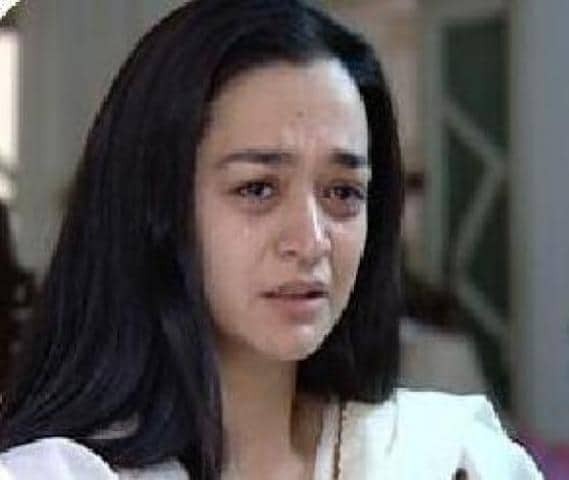 But she also loves to shed tears in dramas, in ‘Meri Laadli’, ‘Aasmanon Pe Likhha’, ‘Gohar-e-Nayab’ she justifies herself for the title of Tragedy Queen. Aisha Khan is another big name, in her recent dramas she has done a variety of different and powerful roles but few years ago she can be seen as ‘tasway bahatee aurat’ in many dramas, like ‘Maanay nay eh dil’, ‘Bol Meri Machhli’, ’Ijazat’, ‘Meray Charagar’, ’Mujhe Apna Bana Lo’, ’Tum Ho Ke Chupp’. In some dramas like ‘Maanay na yeh dil’ and ‘Mujhey Apna Bana lo’ she was not a mazloom larki still she was seen weeping and sobbing frequently. That’s in my view is a potential list for Tragedy Queens of our dramas, hopeful to write something on Shehanshah-e-Jazbaat (Tragedy Kings) too.